Dr. Seema Sharma always appreciates feedback from her valued patients. To date, we’re thrilled to have collected 4 reviews with an average rating of 5 out of 5 stars. Please read what others are saying about Dr. Seema Sharma below, and as always, we would love to collect your feedback. Dr. Sharma is the best! As a new mom I instantly felt comfortable with her. I would 100% recommend her and her entire team is wonderful and caring. 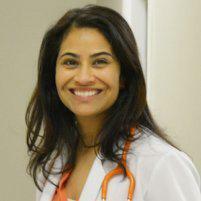 Dr. Sharma is the best doctor, she is very careful, answered all of our questions and gave us advices that we needed. The staff is very friendly and helpful. Office is very clean, there is a nice space for kids to play.